Louisiana Residents: Get help today with our certified and court accepted online anger management courses. Take the DPG Anger Management Quiz below to determine if you need help. Take our simple Anger Management Quiz to determine if you potentially have a problem with anger management. Our quiz is not an empirically validated assessment but it does give you a rough estimate of the level of potential problem that you may have. In the event that you suffer from anger management issues, there are numerous tools available to help you. These tools can be acquired by reading an anger management book, taking an online course, or participating in anger management therapy with a licensed psychologist, therapist, or counselor. At D’Arienzo Psychological Group. we offer online anger management courses and in person anger management coaching or therapy. Please contact our office at 904-379-8094 if we can be of assistance. Instructions: Read through all of the statements below and for each question answer yes or no. Add up the number associated with either yes or no to determine your DPG Anger Management Quiz Score. Once you have a total score, determine what your score suggests in the results section. 0-20 points: You are likely in the clear in your ability to manage your anger. What ever you are doing to remain calm and effectively regulate your emotions, continue to practice the same techniques. 20-70: You may have some challenges in expressing your anger appropriately, and managing stress may be difficult for you. You may want to consider taking an anger management course or talking to a professional before your anger lands you in trouble. 70-120: You score suggests that you are having significant problems managing your anger and you would best benefit from speaking to a professional and absolutely taking some type of course whether it is online or in person. 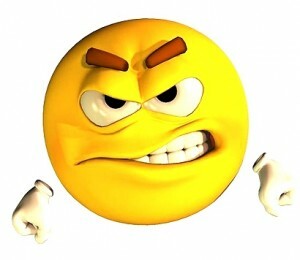 Anger over time, can lead to significant problems with your health, in your relationships, and at work. Again, if you are scoring in this range, it is absolutely time to get help today. Brad Pitt Hugs Margaret Qualley On Set and the Rumors Begin — Morning Brief | Socialite Life Online Anger management treatment!